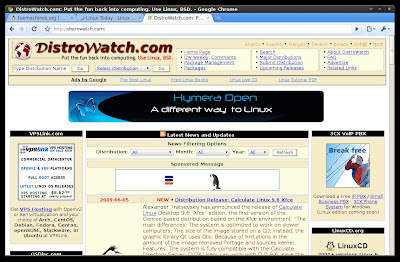 Finally, Google released early developer versions of their highly regarded Chrome web browser for Linux and Mac. It means that you can now run Chrome natively on these two platforms but with insufficient features and software instability. 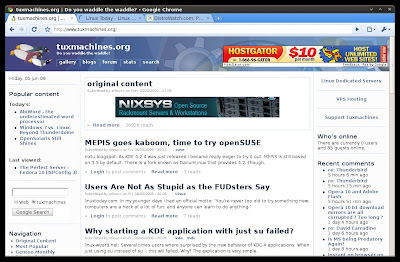 Currently, Google Chrome can be installed on 32 or 64 bit Ubuntu 8.04 or later, or 32 bit Debian 5. Support for other Linux distributions should come soon. 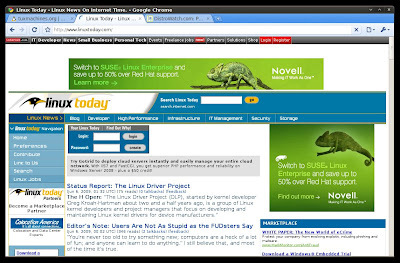 I tested Chrome on Ubuntu 9.04, and I must say that it really is built for speed. Although not noticeably faster than my current version of Firefox (3.0.10), I'm still impressed. Because at this early stage of development, Chrome has shown that it has what it takes to dominate the browser market. So how unstable and incomplete is this developer version of Chrome? --At first, I didn't really notice its instability since it didn't crash on me. But upon checking my system stats, I found out that it is still (understandably) resource hungry as it is not efficient in utilizing RAM and CPU. As noted on The Chromiun Blog, here are some of the things that the current version of Chrome for Linux can't do: play Flash videos; change privacy settings; set default search provider; print; Of course, support for Google Chrome extensions is still missing. For me, Chrome will remain as an alternative to Firefox until maybe it gets everything polished, and until some useful plugins are available and are well-supported. I'm going to give this a try later on today. Considering my Firefox won't play Flash consistently either (since upgrading to 9.04 - clean install too), this should be a more even fight! Are we able to build chrome from source? Last time, I was told that chrome is a proprietary fork of chromium, hence we don't have the whole source code. It's not open source software the GPL way. This build is garage, you can't even run Flash. If you want all the power of webkit then try Epiphany browser as it has Flash and extensions just like Firefox. Plus you don't have to worry about your data being captured. My impression is that building chromium really does get you the good stuff from chrome, minus some packaging details, and with a different icon. YMMV. Google has very good apps that seem to get better and better but I simple don't have a lot of love for them since they are all made for Windows. It's hard to believe that Linux actually made Google possible and made it rich but remain the last OS to get a worthwhile native programme that's written by Google. Google a very good search engine - actually (still) the best imo but it's not better than Microsoft as a company. Power, control and the mighty dollars. I will stick to the Fox until Konqueror is as good. I don't have any plans to install Chrome on Linux. So If I understand well, we are unable to build chrome from source because it's missing some "components"... bad bad bad... google got it wrong. Damn! They should go GPL! Try Midori if you want a fast lightweight GTK web browser running on Webkit. :) That's exactly what I did. I have a bit of troubles to compile the 0.1.7 on gentoo since the ebuild does not have as much work than firefox and others. But having a LGPLed CSS rendering engine is great.